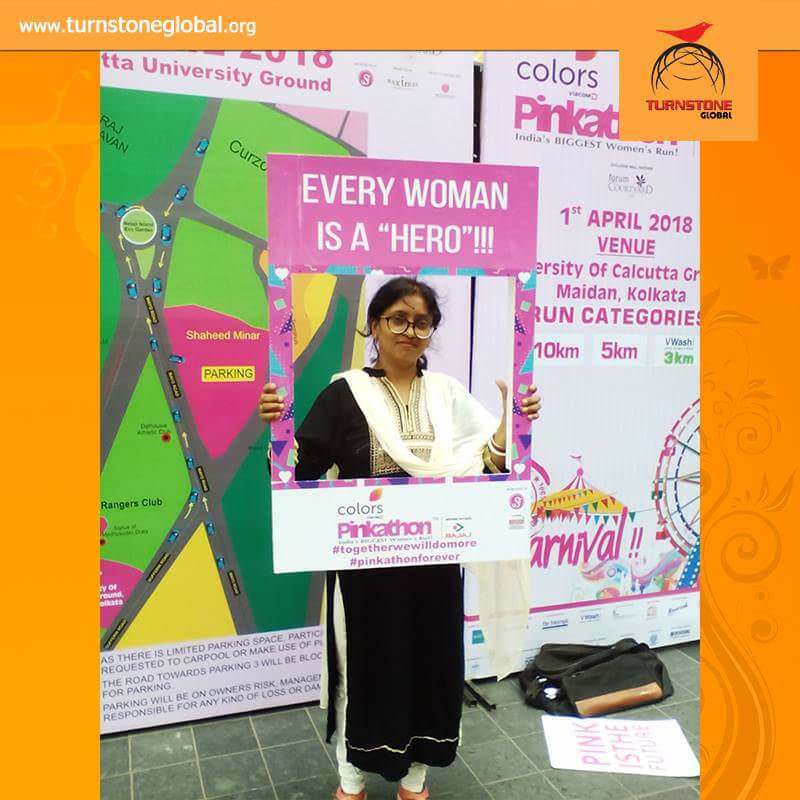 Turnstone Global, is a voluntary not for profit National Organization established in 1990, committed to improving lives of underprivileged people including the disabled, the children, the youth and the elderly, touching the life of more than a million in this short span and dedicated and determined to make India free from poverty and injustice. 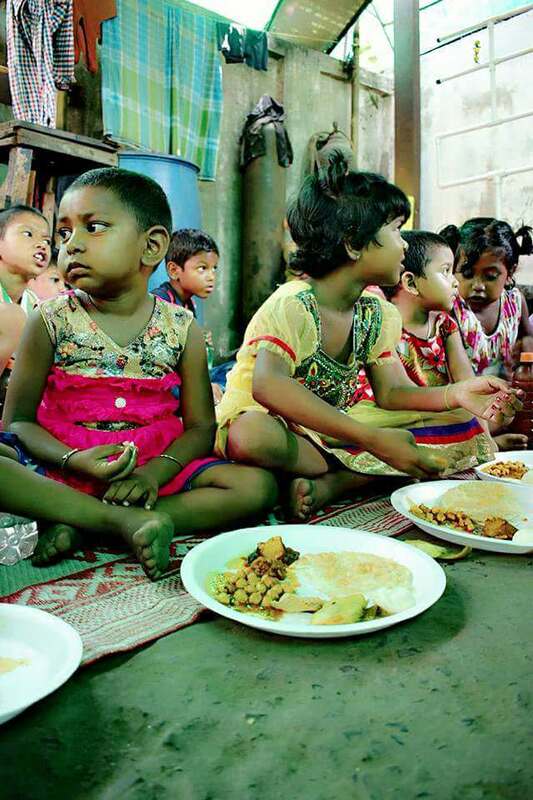 We needs fund to support the education of kids in orphanage in barrackpore and slum school in basnti colony ,Ultadanga. Buying school supplies like uniforms/stationary for the kids both in Basanti Colny and the orphanage for a year. Provide scholarships to meritorious students and enroll them in various vocational training so that they can be a part of the main stream. 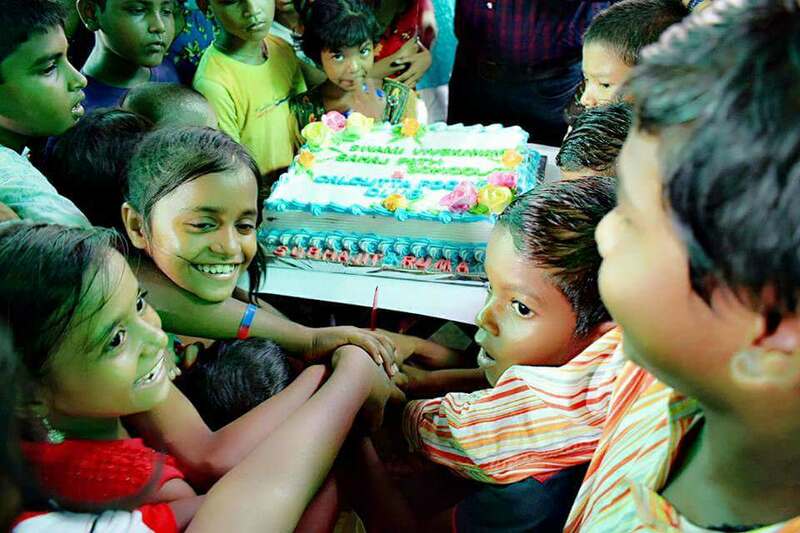 Please come forward and help us to raise funds which can help these children to be a part of the main stream society and lead a happy and content life. Who doesn't like some good food. Food is the best way to show love, affection and care. 30+ members of Calcutta Foodie Club came and spent time with the kids at Swami Vivekanda Sahaj Path School. 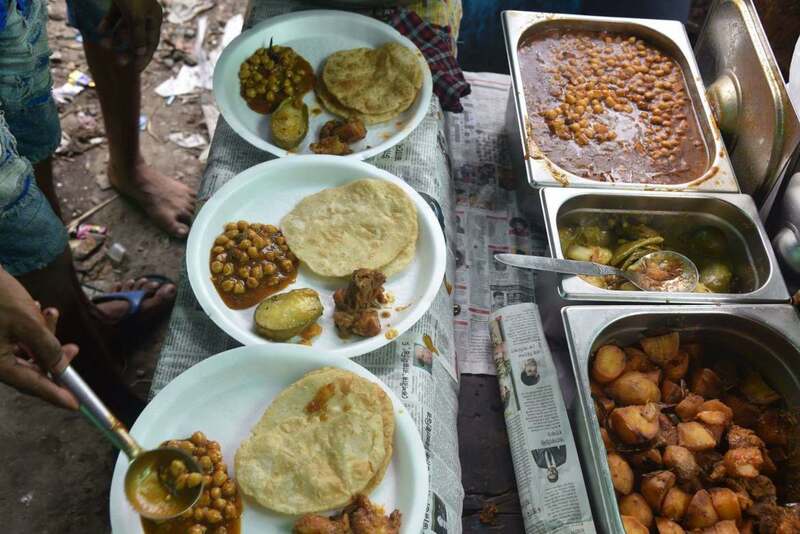 It was an amazing experience with yummy food. Thank you for your continuous support and please get in touch if you want to be part of such events. 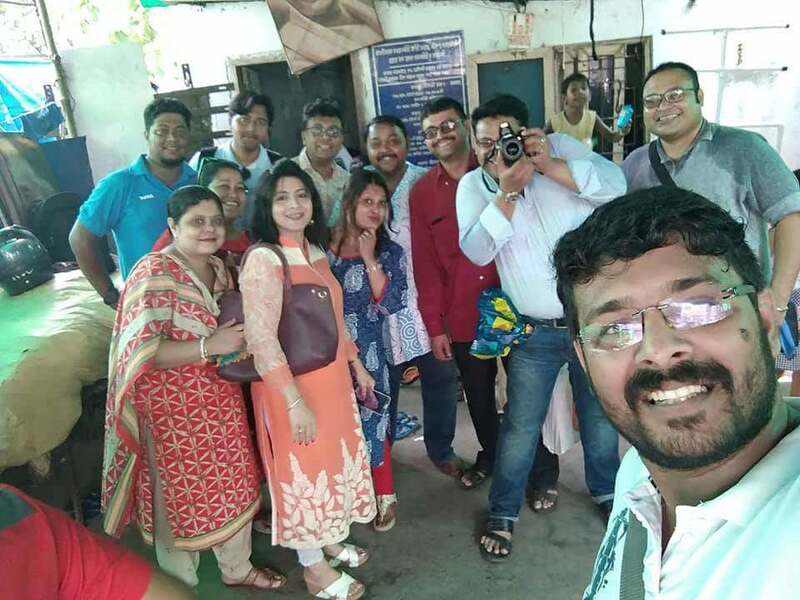 This is what we called our latest event at Swami Vivekananda Sahaj Path School, Ultadanga. We asked the students to draw and explain what they wanted to become when they grow up. And the result we got was amazing, the hope and positivity is contagious. Nothing stops them from dreaming big and making a mark in this world. 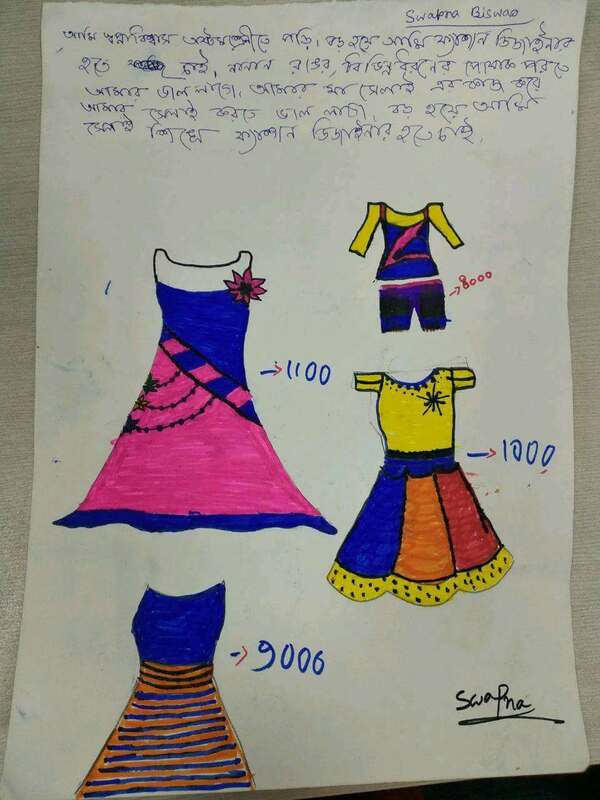 Swapna Biswas, a class 8 student wants to be a fashion designer. 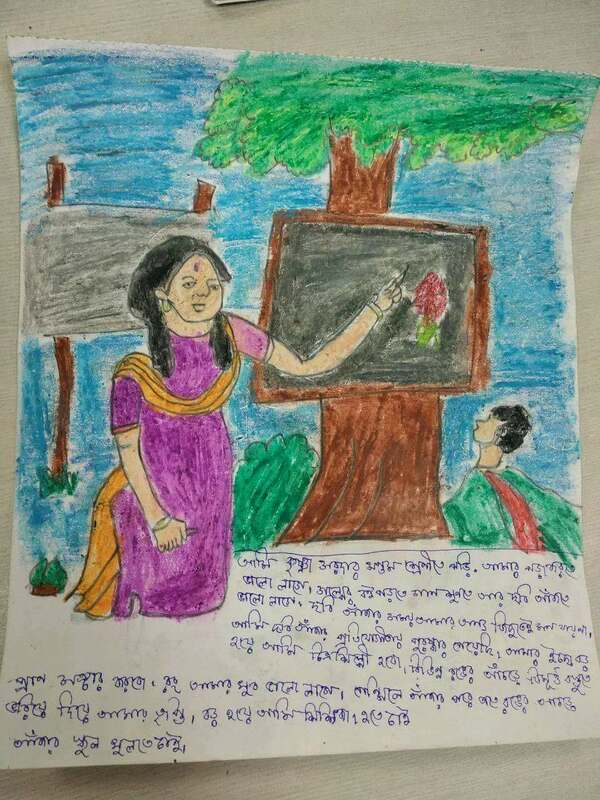 Krishna Sardar, a class 7 student wants to be a school teacher. 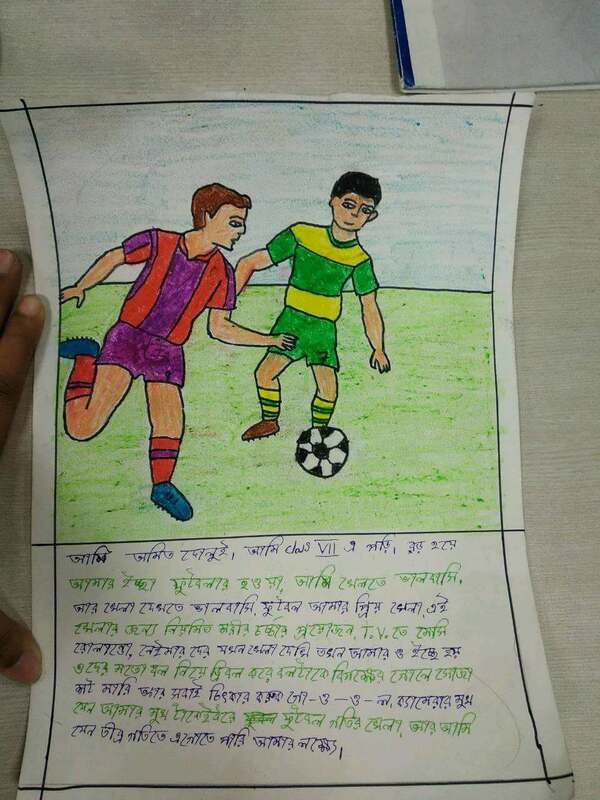 Amit Dolui, a class 7 student wants to be a footballer. 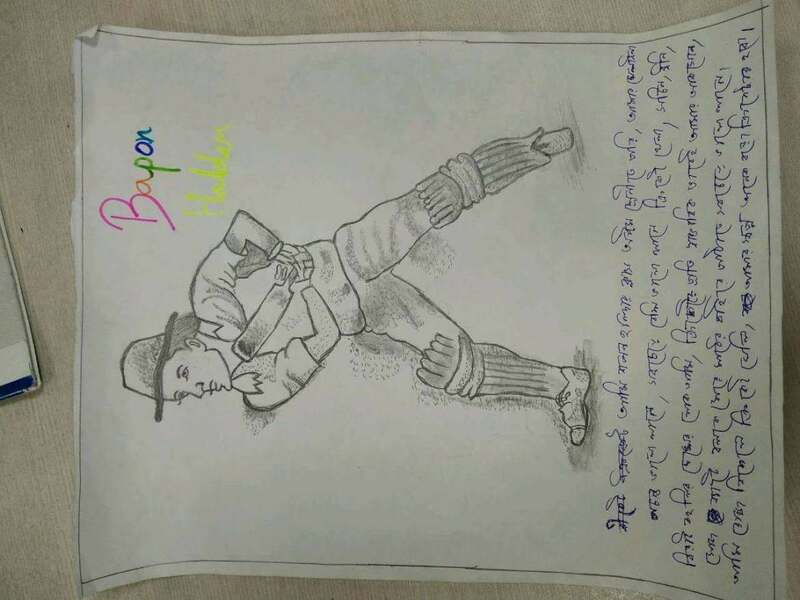 Bapan Haldar, a class 8 student wants be a Cricketer. Thank you so much for your continuous support and request you to please share it with your friends and family. 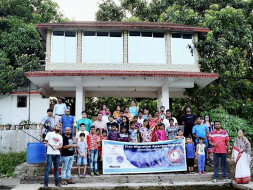 And please do connect if you want to volunteer. Fitness is liberating. 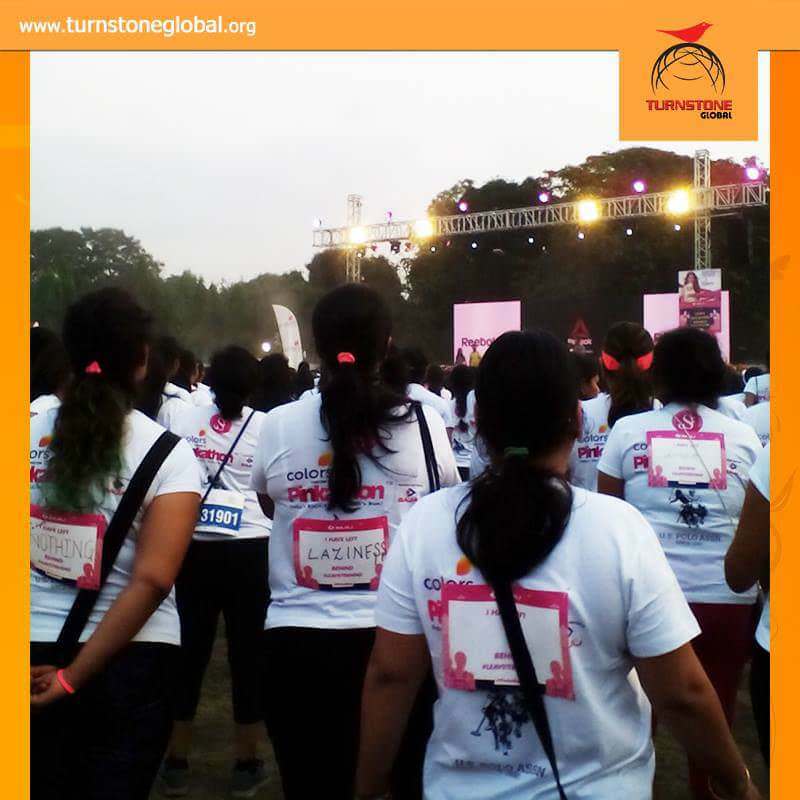 If a culture of regular exercise and fitness must take root in India, our women need to become aware about the benefits of fitness. They need to be able to get out and run, which doesn't happen enough due to various cultural reasons. 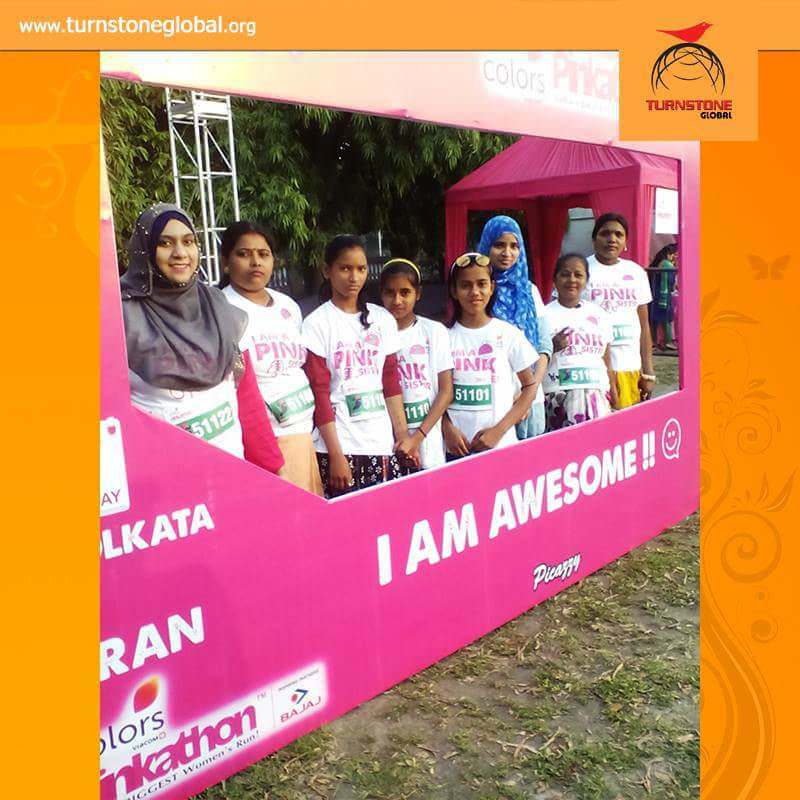 The second edition of Pinkathon, a marathon exclusively for women, kicked off in Kolkata on Sunday morning.23 of our students and their mothers from the Ultadanga school, along with volunteers from Tata Consultancy services participated in the run- which is an exclusive run for women. 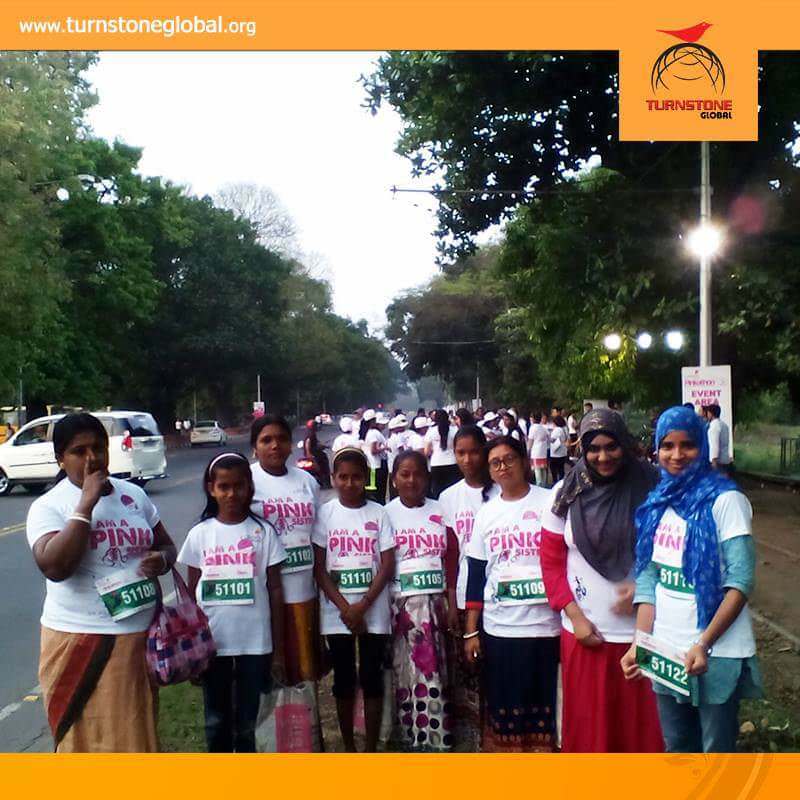 It was an amazing experience with the team bonding together to cover a distance of 5kms. It was a morning full of fun, fitness and music.